When you’re playing in a team with a Michael Essien-shaped hole in its heart, I imagine you’re always aware of that absence – damn, where is Essien when you need someone to do the work of three men? 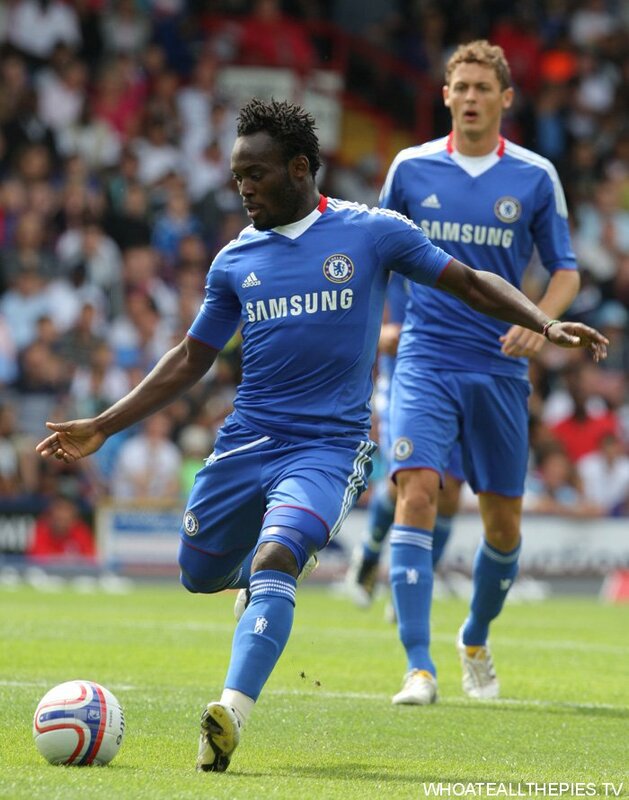 Who knows how Ghana might have done in South Africa this summer with a fit Essien in their engine room? It’s not overly imaginative to say they might have reached the final. Anyway, it’s good to be reminded of the scale of his immensity. After seven months out with injury, he slotted back into Chelsea’s midfield and scored the only goal of their friendly at Selhurst Park, midway through the second half. Jon Obi Mikel, another African who missed his home World Cup, also played. Crystal Palace’s new away kit = very ‘Escape To Victory’. A good thing.